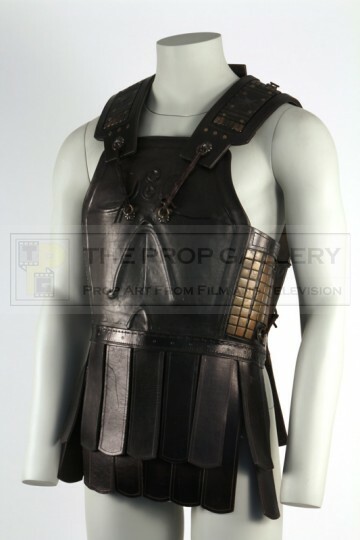 An original costume used in the production of Alexander, the 2004 historical epic directed by Oliver Stone. This costume was created for use by Toby Kebbell as Pausanias of Orestis and was visioned by Academy Award winning costume designer Jenny Beavan who consulted with historians to recreate the various items of dress required for the movie. 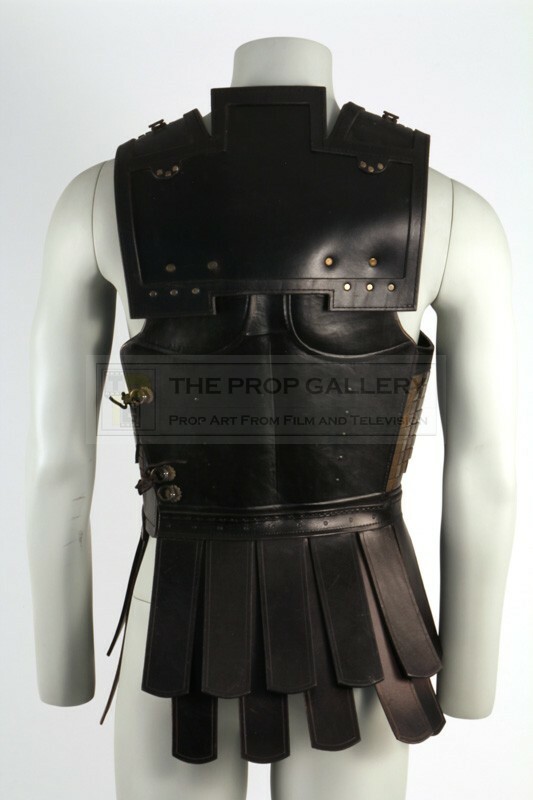 Constructed from thick saddle leather this linothorax upper body armour features front and rear breast plates, decorative shoulder straps with ties to the chest and side and a number of leather pteruges designed to protect the groin and upper thigh. 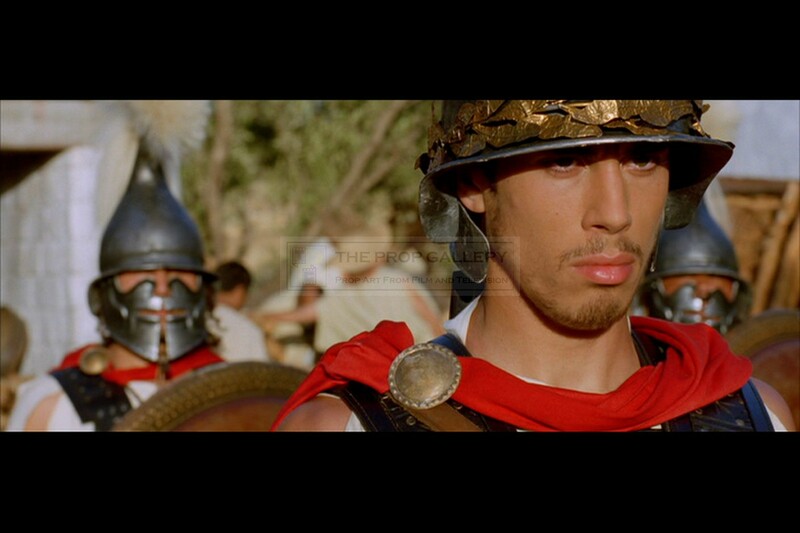 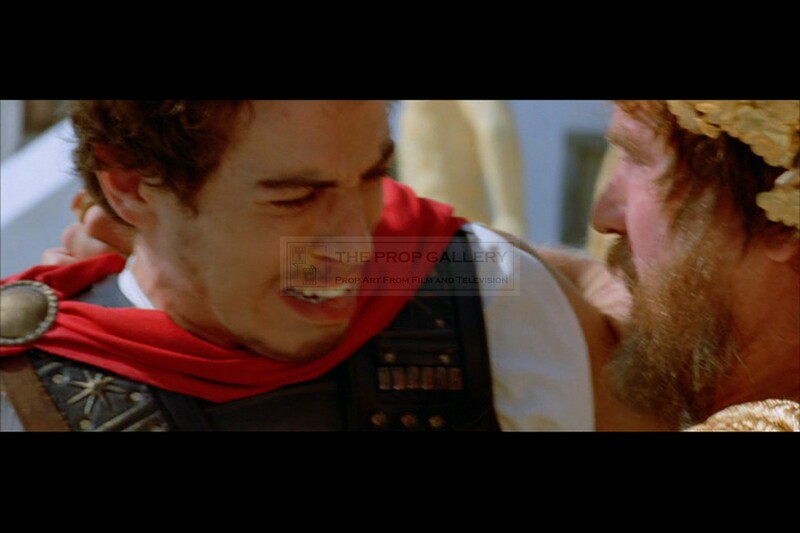 To the interior the costume is hand inscribed 'PAUSANIUS' and 'TOBY' for actor Toby Kebbell. 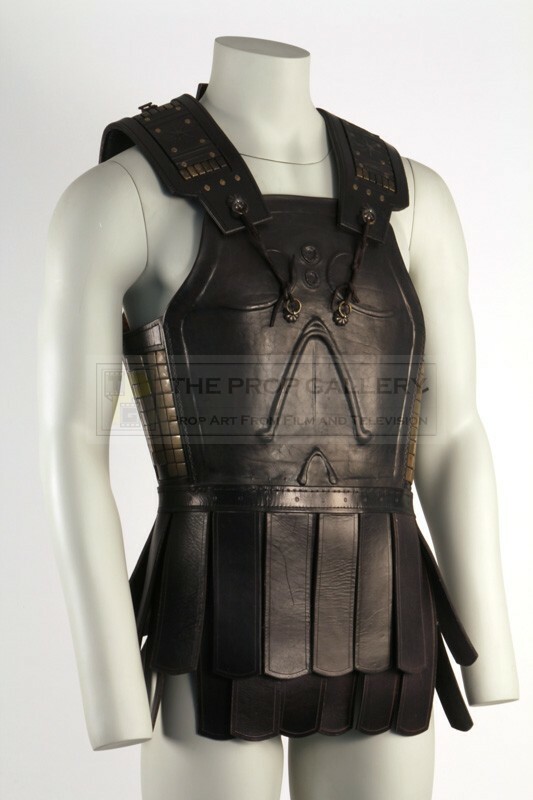 The costume remains in generally good production used condition with only light wear and surface marks, overall fine. 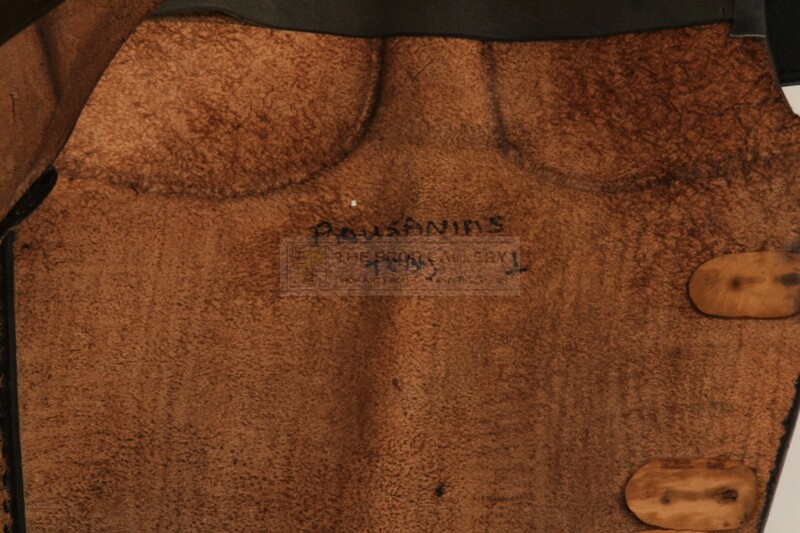 A fine example of original wardrobe from this historical epic.